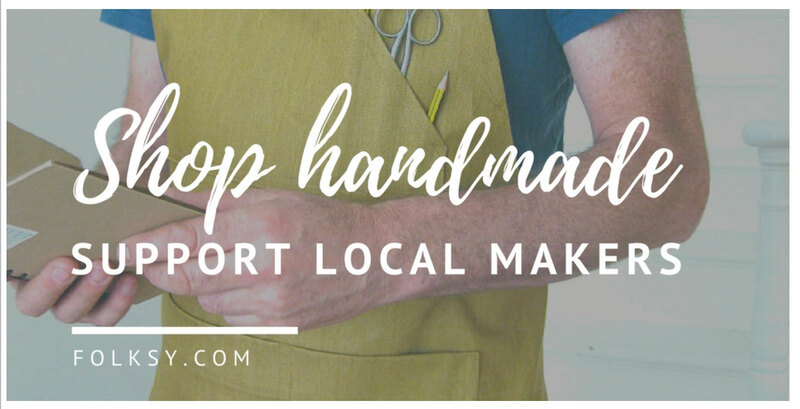 ‘Celebrate Handmade’ weekend is an antidote to the ‘race-to-the-bottom’ of the Black Friday and Cyber Weekend Sales, which seem to last a week either side too! In contrast ‘Celebrate Handmade’ encourages shoppers to avoid the global high street chains and choose to buy direct from UK independent designers and makers – Find a wealth of diverse, unique and beautifully crafted work, to be treasured. ….and Folksy (Home of British Craft) has featured one of my aprons for their ‘Celebrate Handmade’ marketing!!! This entry was posted in News and tagged Aprons for Makers, buy handmade, handmade weekend, Lisa Bennett on November 23, 2018 by lisabenn.